Where can I find a good Dry Cleaning Service in Los Angeles? That’s the question’s that’ll probably be racing through your head when you hold the traditional wedding dress that’s being worn in your family for generations. As beautiful and emotional that dress might be for you, you’ll probably see some stains or dust on it. It’ll be pretty obvious that you’re going to have to get it dry cleaned. The biggest worry for you will be finding a good dry cleaning service that does the job effectively and within a reasonable budget. 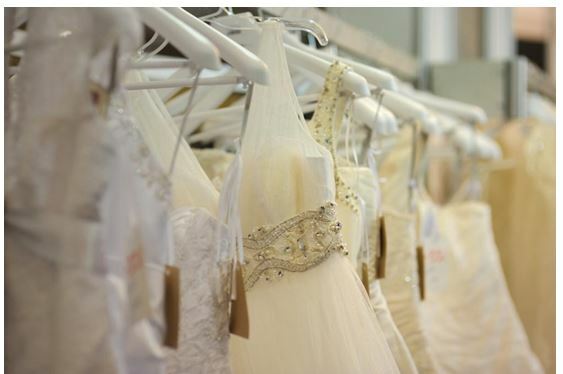 There are multiple services in Los Angeles that claim to offer professional wedding dress cleaning services or wedding dress preservation. However, it is crucial that you get this delicate job done by someone who knows what they’re doing. Otherwise, you’ll find yourself with a ruined family heirloom and a dent in your wallet. You might also be wondering whether it is really necessary to get it dry cleaned? Why not clean it traditionally at home? The fact of the matter is that no matter how beautiful your wedding dress might be; all those years of storage will have left their impact. The dress needs to be properly maintained in order to make sure that it’s ready to be worn on your big day. Dry cleaning is not only the safest but also the most affordable way to get your dress back into top condition. Getting it dry cleaned will take care of all those years of dust accumulation and will turn it as good as new. It’s also better to get such a delicate process done by a professional to avoid any mishap. Getting your wedding dress properly dry cleaned isn’t a quick job as well. It could anywhere from a few days to a whole month depending on how many layers does your wedding dress have. Other factors can also play a part such as how busy the dry cleaning shop is. However, if you’re in luck and the shop isn’t busy and your dress isn’t multi-layered then you can expect your dress to be properly dry cleaned within a 2-3 days. And finally, what exactly is the wedding dress dry cleaning cost? Well, here at Mr. Dry Cleaner, we can offer you the most professional dry cleaning service in Los Angeles in $375.00 and up. But you’ll be getting more than just dry cleaning services through us. This includes a silver chest, shipping box, as well as a guarantee of your dress being completely hand pressed. On top of it all, we provide Museum Quality Preservation along with a 100-Year Guarantee. If you’d like to avail our professional dry cleaning services in Los Angeles, then contact Mr. Dry Cleaner here.